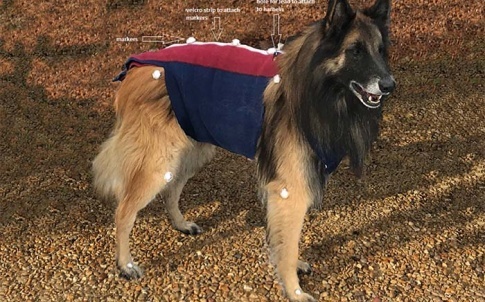 When Hartpury College and University Centre recently undertook a study to investigate canine gait analysis and force exerted on a lead in a collar and harness, HBM – a market leader in the field of test and measurement – was on hand to supply the necessary electronic strain gauges and software. As part of its research to identify whether there is a significant difference in the gait of a dog when it is exercised using either a collar or a harness, and to analyse the degree of force exerted on the lead by the handler and the dog, Hartpury College specified the U9C strain gauge series from HBM to collect data on the amount of force experienced at the site of the dogs restraint. By incorporating strain gauges onto the dogs harness and lead, Hartpury College was successfully able to achieve the desired measurements for both the dog and the handler. To make the design more robust, the transducer was sewn into a one meter lined fleece which enabled the gauge to be fixed to the D ring of the collar or harness. This gauge was then connected to a four-port express DAQ which was connected via USB to a laptop. 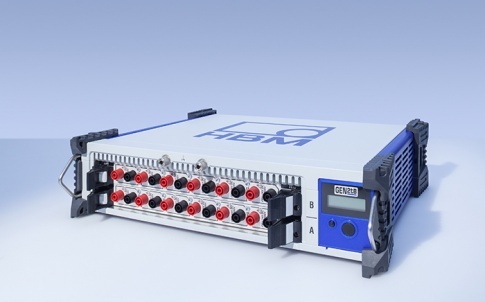 Catman data acquisition software (DAQ) also supplied by HBM, provided the data from both the handler and the dog in numeric data (Hz) pull from each of the trials. This enabled the raw data to be transferred to a spreadsheet and analysed with SPSS statistical analysis software. 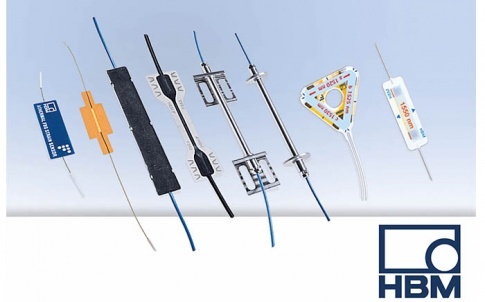 Our extensive range covers everything from strain gages via measuring transducers to analog and digital amplifiers. 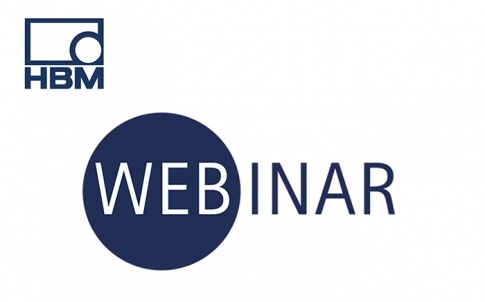 Since our amplifiers can be connected to a PC, measured values can be further processed and then meaningfully displayed with the aid of operator-friendly analysis software specifically designed for measurement technology. Our extensive range covers everything from strain gages via measuring transducers to analog and digital amplifiers. 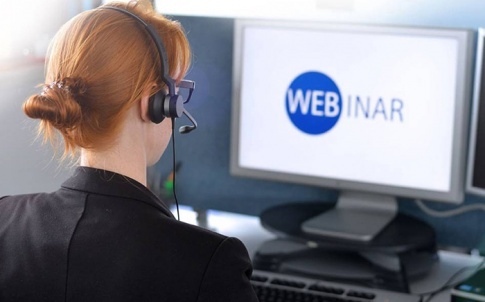 Since our amplifiers can be connected to a PC, measured values can be further processed and then meaningfully displayed with the aid of operator-friendly analysis software specifically designed for measurement technology. Innovative new products in the field of transducer development, signal conditioning and software are witness to our competence and up-to-date product know-how. In addition to these standard products, HBM also provides customized solutions for sensor technology and electronics as well as complete systems. Our products and solutions are used in all sectors of industry. Our subsidiary companies and over 60 branch offices and agencies worldwide are responsible for providing expert support for measurement technology solutions on site. 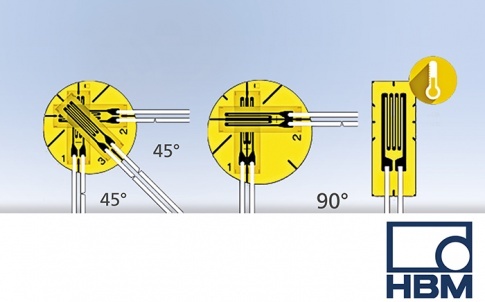 The complete measuring chain comes from HBM. This means that all components in a system are adapted to work with one another. Just one point of contact for everything you need. This saves you both time and money. Our long experience means we understand your needs. Practical solutions come naturally to us.